"I for one am glad that this area is not filled with all white people with the same views." Jorge Flores works to make his community as diverse as the flags on the wall of his restaurant, La Colombiana. Welcome to Mexico, where whites cherish the local history, and kosher chicken is a noted delicacy. Or bienvenidos -- as not a single person who lives here is likely to say. 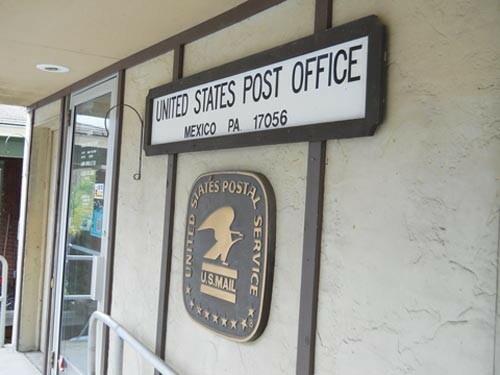 Because this is Mexico, Pa., a small town in rural Juniata County. It's the kind of Mexico even immigrant-baiting politicians might like: a Mexico without Mexicans. According to 2009 Census estimates (2010 Census data was not yet available for the area), not a single resident of this central Pennsylvania hamlet claims Hispanic or Latino origins. Although one resident says that a young Latino couple moved into a rental house in Mexico a year or two ago, they didn't stay long before moving. And sure enough, while the traffic parked in front of the Mexico Market on a sunny October afternoon is brisk, it is also all-white. With a population of 250, Mexico has not a single traffic light. In addition to the market, it boasts a couple of churches, a grange hall (where residents often gather for special events), a post office and a Dodge dealership. 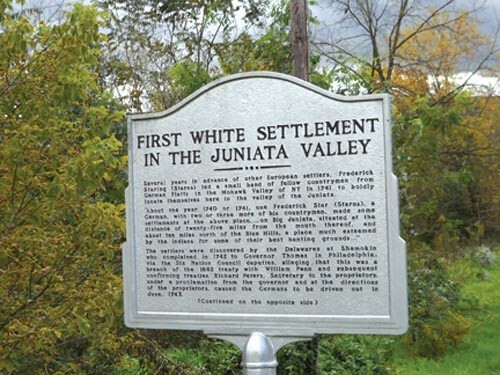 As you head out of town, there's a state historical marker that declares the community the "First White Settlement in the Juniata Valley." There is no plaque to explain why the community, which was established more than 250 years ago, has the name it does. "Why is it called Mexico?" asks a November 2003 edition of the Lewistown Sentinel. "No one seems to know." Clearly not because of the large Spanish-speaking population. To find such a community, you have to travel about three miles down the road, to the county seat of Mifflintown. There, 11.5 percent of the population is Hispanic. Across the bridge, in Mifflin, more than one-third of the population is Hispanic. During the 2000 Census, Mifflintown's Hispanic population was 8.7 percent and Mifflin's just a shade over 6 percent. That makes these communities among the most diverse in the state. Philadelphia's population is just over 12 percent Hispanic; fewer than three Pittsburghers out of 100 are. Statewide, Hispanics make up 5.7 percent of the population. The influx of Hispanic residents "happened pretty quick," said one local resident who asked not to be identified. "Some folks around here don't like it at all and they say things behind closed doors. But me, I can't fault someone for moving someplace to be able to work." And that's why so many Spanish-speakers settled here, residents say. They came to work at the Empire Kosher chicken plant that lies just over Mexico's border, in Mifflintown. "There was a time when the chicken plant was bringing 15 to 20 workers a week here to work," says local businessman Jorge Flores. "They mostly settled here, but especially over the bridge in Mifflin." Empire Chicken brought Flores himself to town 10 years ago. 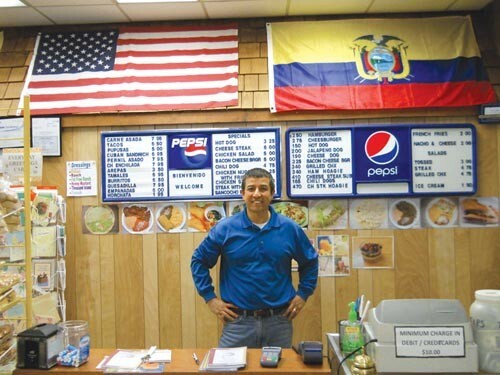 Today, he's the owner of La Colombiana, a Mifflintown restaurant that serves food from several South and Central American countries: Colombia, Honduras, Mexico, Puerto Rico and El Salvador. You can get a hot dog or burger, too. Originally, La Colombiana was a grocery store, specializing in products that immigrant workers couldn't find at Weis Market or anywhere else in Mifflintown. But a year ago, Flores turned the location into a restaurant, decorating the walls with the American flag, and those of several Latin American countries. The restaurant also functions as a community center: Among other services, Flores offers wire-transfer services so workers can send money back home to their families. "I think this is a pretty accepting community," says Flores. "Everyone works together at the plant and when you work side by side you get to know people, you get to know and accept their cultures." Still, he says, "It hasn't been easy and you do get some people who are against you because of your race, but I think you get that anywhere." "This is a small, rural area and, unfortunately, you have people who are against change and things that are different," says Mary Miller, Mexico's postmaster. "For me, a diverse community makes things interesting. I, for one, am glad that this area is not filled with all white people with the same views." In 2006, the area's own state representative, C. Adam Harris, was pushing his own version of the English-as-an-official-language bill. In 2010, he voted to support a bill that required employers to verify that a new employee had a Social Security card. It's not that Flores, for one, disagrees that learning English is important. "I think anyone who comes here should learn to speak English," he says. "It makes your life so much easier." "Some of the things that our leaders are doing are just too heavy-handed," Flores says. "You want to have a bill to make English our official language? I'm pretty sure it already is." For that matter, Flores agrees that U.S. borders should be secured … but also that there should be a clear, legal route to citizenship for immigrants in the U.S. now. "They're already here and working," he says, adding that they need support and guidance from the government, not more roadblocks. "People come here for an opportunity, not to take someone else's job or opportunity. These are honest, family-oriented people who just want a better life for their families and they sacrifice a lot to be here. I wish more people could or would try to see that." 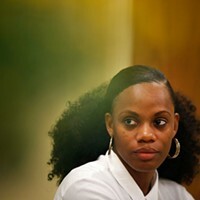 Flores has been trying, largely through community volunteerism. In the early days, there was nowhere for members of the Latino community to play soccer, so he led an effort to build soccer fields in town -- facilities now used by everyone. He also spearheaded an effort to hold a multicultural festival in town; this year's event was held in September. "I've spent a lot of time working over the years to try and bring the Spanish-speaking community and the Anglo community together," Flores Says. 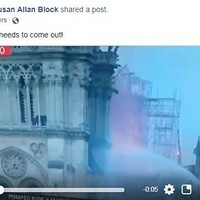 "By and large I think it's worked." "Jorge is very good for the entire area, not just the Latino community," agrees Miller, who used to be the postmaster in Mifflin. "He is a community leader, he works hard to try and bring everyone together." That's important work in a part of the world where natives refer to Hispanic workers, collectively, as "the Mexicans." And that's not because people are confused about the difference between Mifflin and the village of Mexico next door. 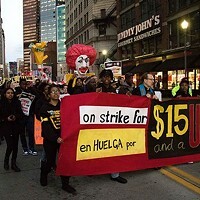 In fact, Flores says, workers hail from many countries, including Chile, Honduras, Nicaragua and El Salvador. Flores himself is from Ecuador; his wife, Paula, is from Colombia. But having an all-white town called Mexico just a few miles away isn't lost on him. "I often tell people I'm from Mexico," he says, and smiles.